Shorthand for Stellar Lumens, XLM is simply an ISO code (like USD) that represents the currency or ‘native asset’ of an open-source, distributed payments infrastructure known as Stellar. In this way, XLM is similar to BTC (Bitcoin) — a digital token of exchange that works through blockchain technology. Unlike BTC, however, Lumens (XLM) have been given a unique name that distinguishes them from the network they run on and from the organization that created them. Currently, Lumen is the 20th most popular cryptocurrency in the world with an approximate market cap of $662,000,000. It is being developed by the nonprofit Stellar Development Foundation whose team include household names such as Kamal Ravikant and Matt Mullenweg. It was around this time that Joyce Kim claimed there was a flaw in the initial Ripple protocol (this statement was contested in a blog post by Ripple Labs CTO, Stefan Thomas). It was in the wake of this drama that the Stellar Development Foundation (SDF) was formed and an updated version of the protocol featuring a new consensus algorithm was released. The whitepaper and new code for this upgrade were released in April 2015 and the network went live in November of the same year. 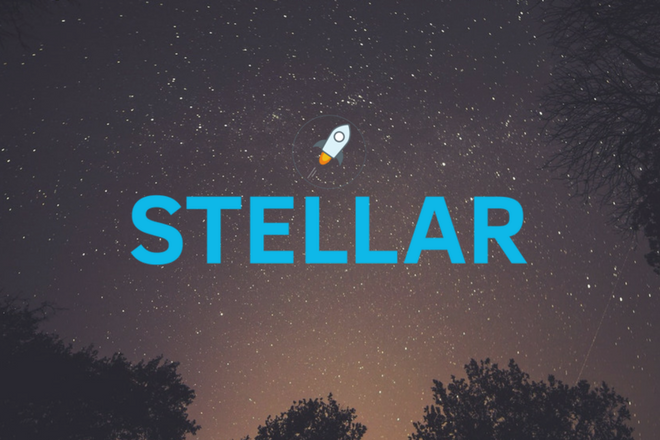 The original asset on the Stellar network was referred to as “stellars” (launched with 100 billion units in 2014); the name was changed to Lumens (XLM) following the 2015 upgrade. Lumen exists to link fiat currencies and allow for nearly instant exchange without a buyer or seller ever touching the cryptocurrency itself. But to dig deeper into why Lumen exists and what makes it unique, one must once again take a holistic view. The Stellar system has a built-in currency for 2 reasons. Lumens play an anti-spam role. Each transaction has a minuscule fee (0.00001 XLM) associated with it. This fee works as a preventive measure against nefarious users flooding the network (a DoS attack). Lumens function as a security token that eliminates this large-scale transactional attack. Lumens allow for multi-currency transactions. They work as a conduit for transactions between currencies that don’t have an existing market or one that’s difficult to access. This is only possible when there is a liquid market between XLM and each currency involved. Unlike many of its crypto brothers and sisters, XLM is sporadically given away for free. Why is this being done? To achieve a more inclusive digital economy. Per our mission, Stellar.org works to connect people to low-cost financial services. Giving away lumens for free is an invitation to communities to design the services they need. Additionally, giving away Lumens is an easy way for its backers to expand the reach of the network. In other words, if there are more people with XLM who actively use it, the utility of the system as a whole will increase significantly. But this raises many other questions. Who is the XLM given to? Why would anyone buy it if it’s being handed out for free? As for the second question, people may still want to purchase XLM if no giveaway is available and they want to participate, or they may want to purchase to support Stellar’s vision as community members. SDF estimates that all Lumens will be distributed within 10 years, at which point people will have to buy it on an exchange to obtain XLM. With an altruistic mandate and a unique intention behind the Stellar platform, XLM is a currency with a slightly different genesis than many other cryptocurrencies. XLM is backed by a strong team of developers, entrepreneurs, and venture capitalists. Here are some of the key faces. Jed McCaleb is a co-founder of SDF, whose background includes founding eDonkey2000 (one of the largest file-sharing networks in its time), being an originator of Mt. Gox (the first BTC exchange) and founding Ripple. Joyce Kim is a co-founder of SDF, formerly a VC at Freestyle Capital and a serial entrepreneur. Kim graduated from Cornell University at the age of 19, then went on to grad school at Harvard and Columbia Law School. She is also a Director’s Fellow at the MIT Media Lab. David Mazières is the chief scientist at SDF and a professor of Computer Science at Stanford University. He holds a BS in Computer Science from Harvard and Ph.D. in Electrical Engineering and Computer Science from MIT. The Stellar consensus protocol is largely his brainchild. If you run down the list of board members and advisors, you’ll find big names from the likes of WordPress, Y-combinator, Microsoft, Apache, Stripe, Google, and many others. It’s generally a positive indicator when a list of big names put their weight behind a project. To see the full roster click here. Every new currency (and network technology underlying it) is not without its challenges and potential for failure. XLM is no different. One issue that’s been noted is that the technology McCaleb forked and the stuff that Ripple uses today are very different. This puts a lot of pressure on his vision individually. Ripple is run by of a team of over 200 people and has raised close to $100m in funding. Conversely, Stellar is run by a small handful of people with significantly less funding. The argument being, that likelihood of an error or failure is higher with fewer people involved. There have also been some quibbles about Stellar’s transparency (or lack thereof) when it comes to salaries Lumen grants to its employees, and Lumen giveaways or “airdrops.” Whether these issues are valid criticisms or simply the growing pains of a young technology/company is yet to be seen. Lumens can be purchased on a variety of exchanges, the most popular being Bittrex, Kraken, and Poloniex. In addition, Stellar has a direct sign-up program to help facilitate its goal of making Lumens easily accessible to millions of individuals. In November 2017, they issued this update on the program, letting people know the current situation and what to do if you’re having trouble claiming your Lumens. Also, as part of its mandate, Stellar handed out XLM to holders of Bitcoins. This was done in a series of rounds, the last of which concluded on August 27, 2017. In terms of storage, there are at least ten wallets to choose from once your tokens have been procured. Lobstr is a wallet for the Stellar network. Lobstr is available as a web app and also has Android and iOS-specific apps. The Stellar Desktop Client is an open-source wallet for your desktop. It allows you to encrypt your secret key and keep it locally on your machine. Papaya is a user-friendly wallet to store Lumens and other assets. No technical knowledge required to use it — there is no key or trustlines. The great thing about using a wallet is that it doesn’t require any personally identifiable information such as name, address or SSN to get started. This is a big argument for the adoption of cryptocurrency. The Lumen/XLM is yet another asset in the rapidly populating field of cryptocurrencies. It appears to be positioned as a digital currency solution for the developing world, but has been flying under the radar (somewhat) in the last few years. As of November 2017, Deloitte, Stripe and, most notably, IBM have created partnerships with Stellar. A big step in the right direction. Wander around cryptocurrency forums and you’ll hear people touting its user-friendliness, speed (lack of congestion on its blockchain as of yet) and as a low-cost solution for remittance. But question marks remain, and as with almost all new currencies/platforms, the truth will only be fully seen when volume picks up. I’d Mike to know more aboutiques how to invest in stellar.lumens.